Elegant design Quarto Crystal Drinkware Set. An excellent choice as a gift for any occasion, be it a wedding, retirement or any special award. 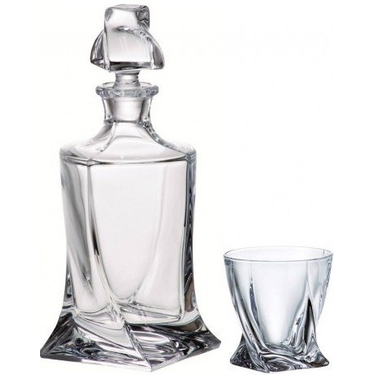 The set includes one glass decanter and two tumbler glasses and comes in a plain gift box. *Please note if you choose engraving it will be on the Decanter only.